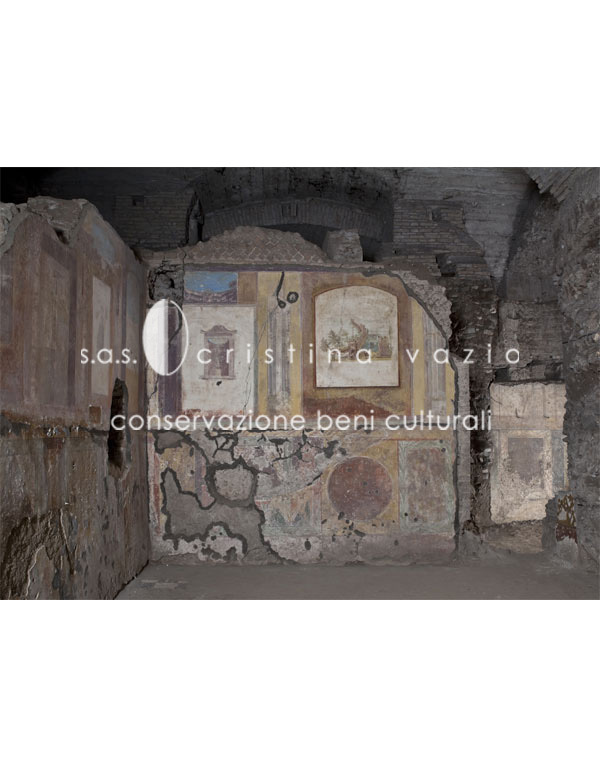 Under the Basilica of St. Sebastian in Rome, there are two Roman villas named Villa Grande and Villa Piccola, dating respectively to the II c. A. D. and the very beginning of the IV c. A. D. Wall decorations and a fresco are present in the villas, and date back to the phases of construction of the buildings. 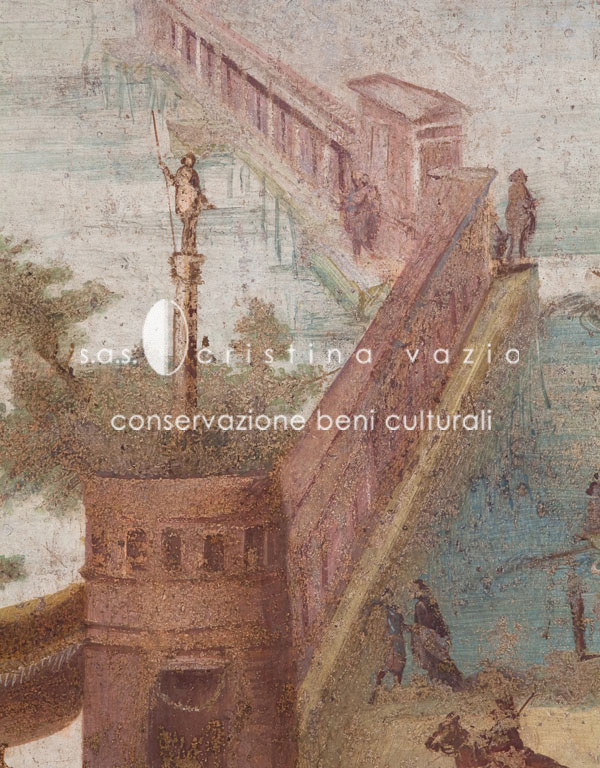 After a preliminary study for the assessment of the state of the paintings in 2013 (see section “Projects”), we carried out the restoration of the paintings for the two villas. 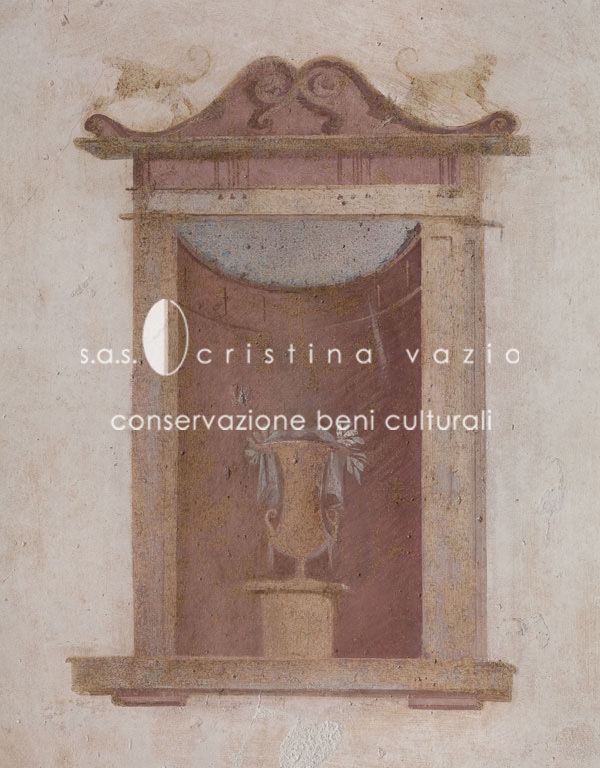 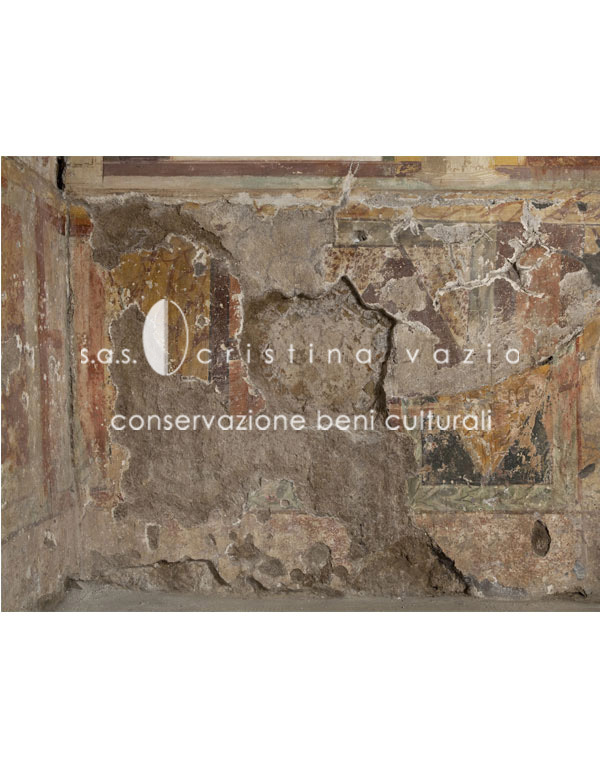 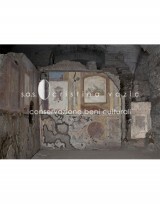 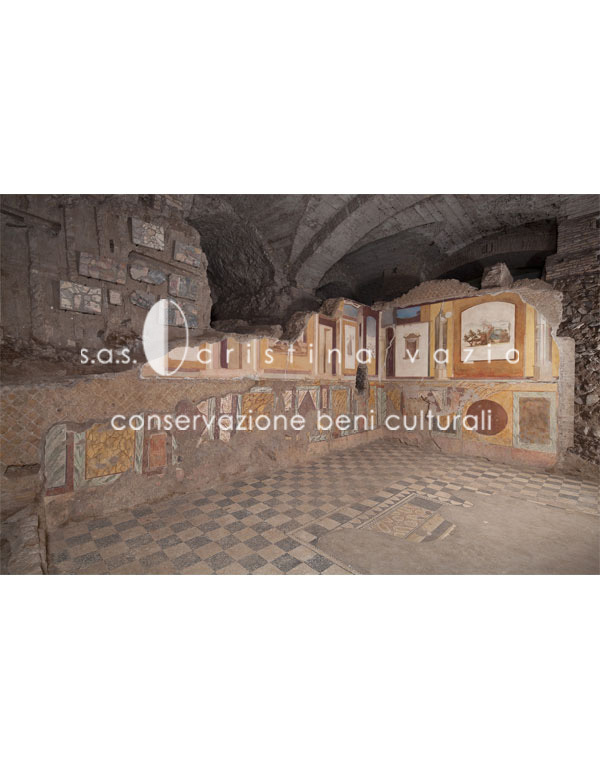 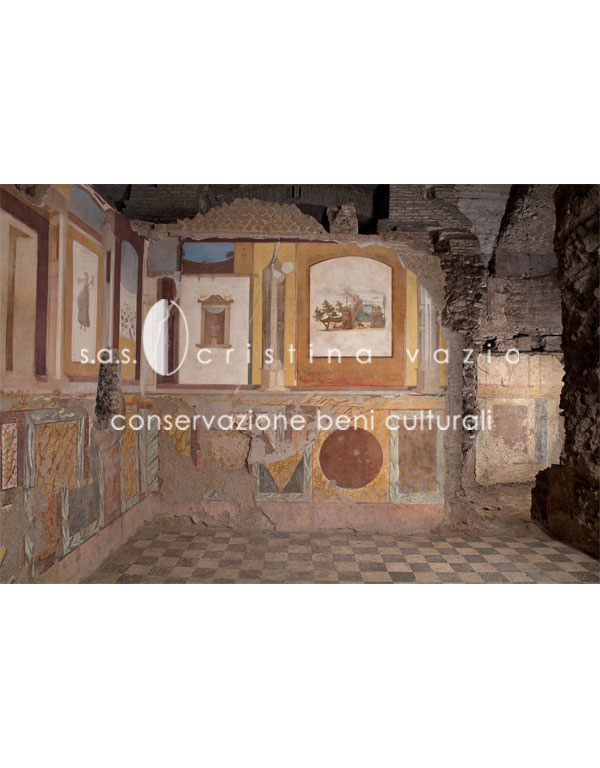 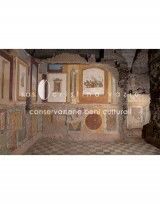 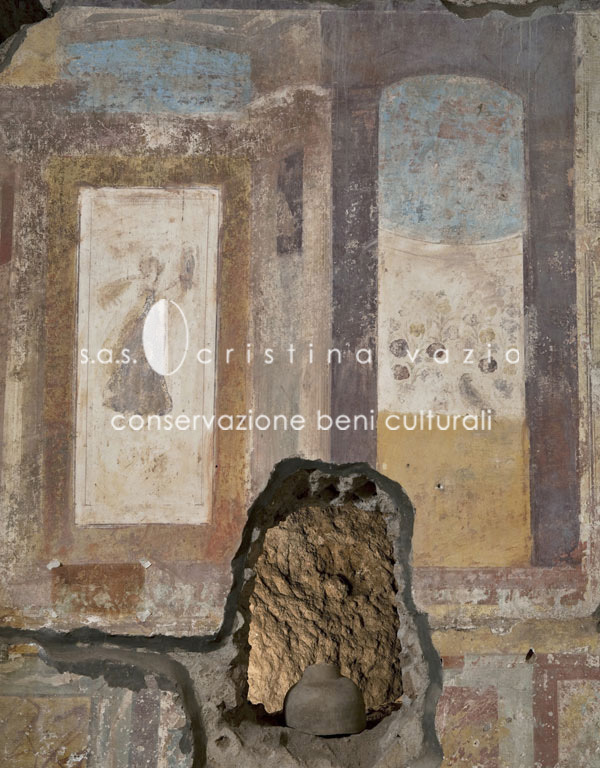 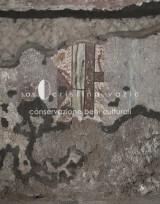 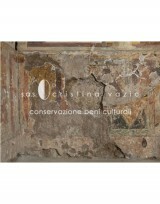 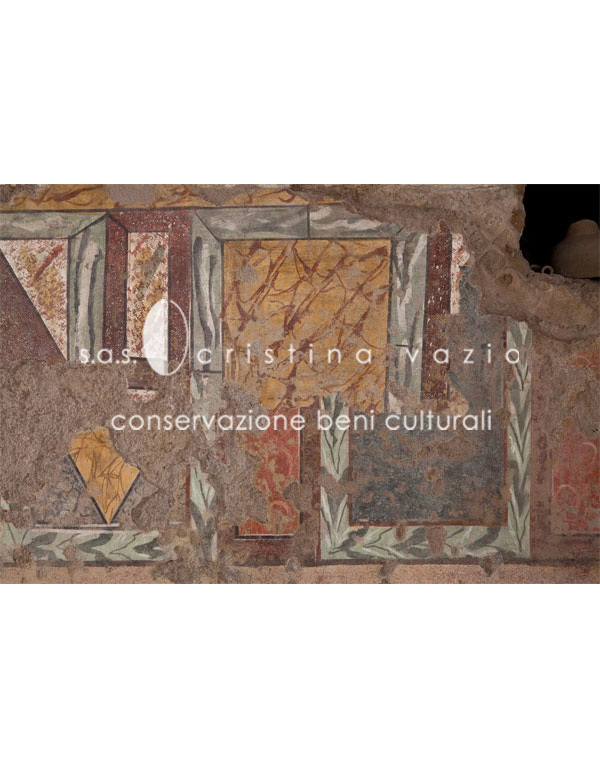 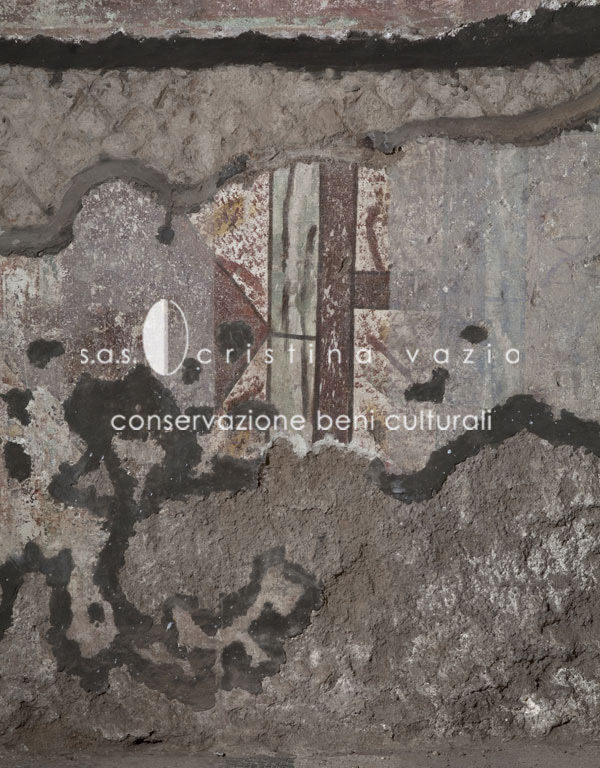 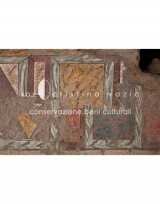 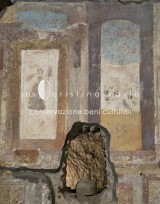 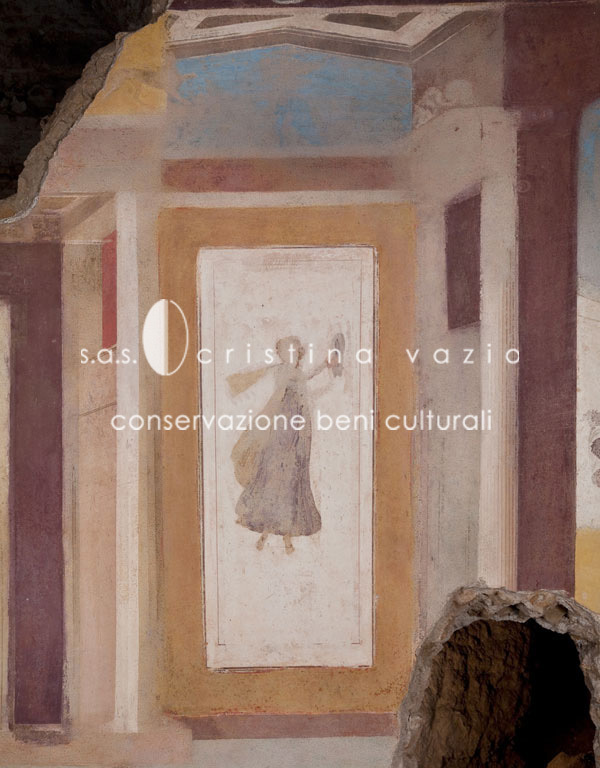 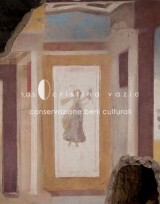 The preliminary assessment of the condition of the paintings highlighted the need of an urgent intervention of consolidation for all the frescoes in the two Villas, due to widespread risk of collapse of frescoes, especially in room n. 28 in the Villa Grande.